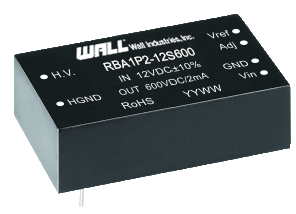 The RBA1P2 series of DC/DC converters offers 1.2 watts of output power in a very compact 1.81” x 1.01” x 0.61” package. This series provides 0-600V continuous output with linear adjustable function with a fixed input voltage. In addition to its low ripple, the RBA1P2 series features over current and short circuit protection, and RoHS compliance. 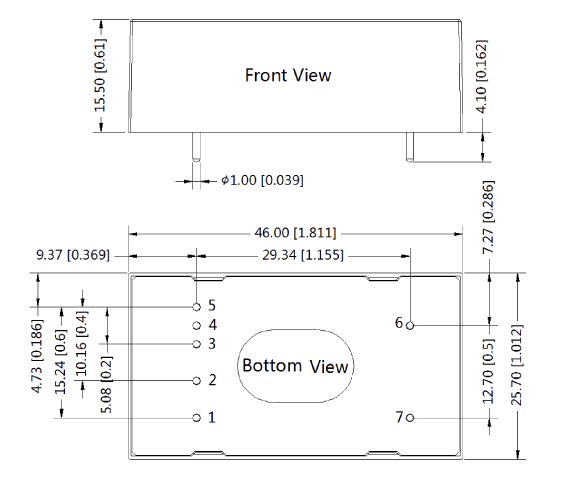 This series meets CE and RE EMI specifications without any external components. Please contact factory for order details.